Boystown is about to get even more colorful than usual when the annual Pride Parade returns on Sunday, June 24. For the past 40 years, Pride Parades across the country have commemorated the Stonewall Riots, during which the LGBTQ patrons of the Stonewall Inn in New York City protested against police raids. 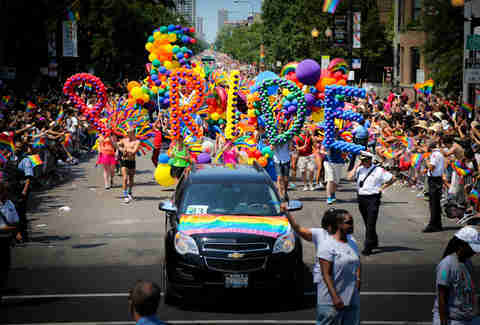 Chicago’s Pride Parade has grown into one of the largest in the country, and this year a couple hundred thousand people are expected to participate, while nearly another million cheer them on from the sidelines of the 4-mile route. 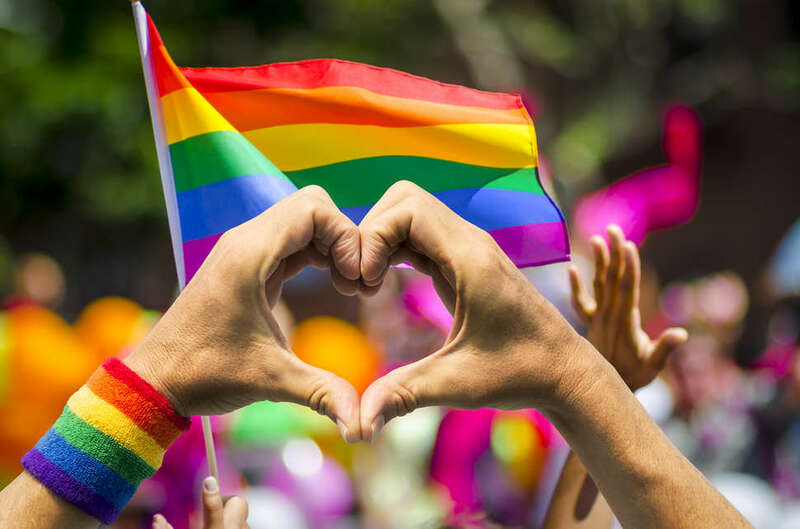 Whether you’re planning to take part in the festivities or just want to be prepared for your neighborhood’s LGBTQ takeover, we’ve got all the must-know information. Where and when will the parade take place? The parade spans from Uptown to Lincoln Park, with the bulk of it flowing through Boystown in Lakeview. It starts at noon on Sunday, June 24, at Montrose and Broadway, moves south on Broadway before splitting off and heading south on Halsted, moves east on Belmont, then south on Broadway, and ends at Diversey and Sheridan. Check out a map here. If you’re more of an onlooker than a marcher, you’ll want to plan out where to watch. For the rowdiest experience, hit up Boystown (Halsted between Grace and Belmont). If you want to enjoy the view amid a bit less chaos, head to the spots where the parade starts and ends. No matter where you plan to post up for the day, get there early. It’s not uncommon to see people flowing onto sidewalks as early as 7 or 8am, and you’ll want to get a good spot. Of course! There’s no need to register in advance, and there’s no age limit or entry fee. Just show up and get your Pride on! There’s no rule against them, but think long and hard before you put your pet through Pride. It’s loud, it’s crowded (remember: hundreds of thousands of people! ), and people aren’t always at their most alert, if you know what I mean. Aside from service animals (obviously), it’s probably best to just leave your four-legged friend safe and sound at home. Check the weather for the whole day before you run out the door, and make sure you’re going to be comfortable in what you choose. Rainbows, glitter, and makeup are encouraged. And just remember: No matter how ridiculous you think your outfit is, it won’t be the craziest thing you see all day. Just go for it. 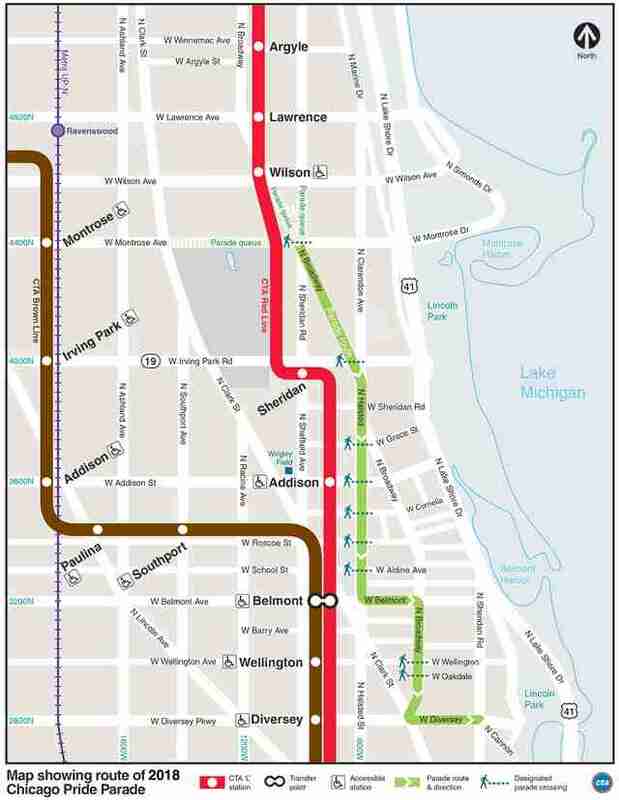 If you’re traveling within the city, your best bet is to take the L to the Wilson Red and Purple line station. If you must drive, Chicago Pride recommends booking parking in advance with SpotHero. If you’re coming from the suburbs, use Metra or Pace (find your route at transitchicago.com). Driving might seem easier at the start of your journey, but public transportation is the way to go with an event as huge as this one. If you’re coming from outside the city and you think you’ll need to spend the night in Chicago recovering (spoiler alert: you probably will), it’s best to look into nearby places to stay as soon as possible. You can go the traditional hotel route or check out Airbnb, depending on your budget and what kind of lodging situation you’re comfortable with. As far as locations go, staying in Boystown will be best for the party animals who prefer to be able to stumble home at the end of the night. Andersonville is a quieter LGBTQ enclave for those who want to have a quaint, authentic Chicago experience. And, of course, staying downtown may be the easiest option, as the variety and density of lodging is truly out of this world. If you want to use your Pride visit as an excuse to check out Chicago in general, maybe take the opportunity to stay in one of Chicago's underrated neighborhoods. What are the best spots to go out and keep the Pride spirit alive? If you’re looking to have a wild night after the parade and haven’t lined up a house party (what were you even doing all day? ), definitely stick around Boystown, where LGBTQ Pride lives year-round in Chicago. There are a ton of LGBTQ bars on that small stretch of Halsted and its cross streets, and while odds are they’re all going to be jam-packed, you’ll also probably have the time of your life. Dance the night away at clubs like Berlin (beloved for its Saturday Drag Matinees), Progress (known for great tunes and tons of room to dance), Roscoe’s (recently fully re-opened after some intense renovations), Scarlet (famous for super-fun takeover nights) and Hydrate (if go-go boys are your thing). Or hit up Little Jim’s, which opened in 1975 as Chicago’s first gay bar and continues to be a neighborhood staple today. Check out more tips on Chicago’s best LGBTQ-friendly bars, in Boystown or beyond, and visit Chicago Pride’s website for more information on the Pride Parade.